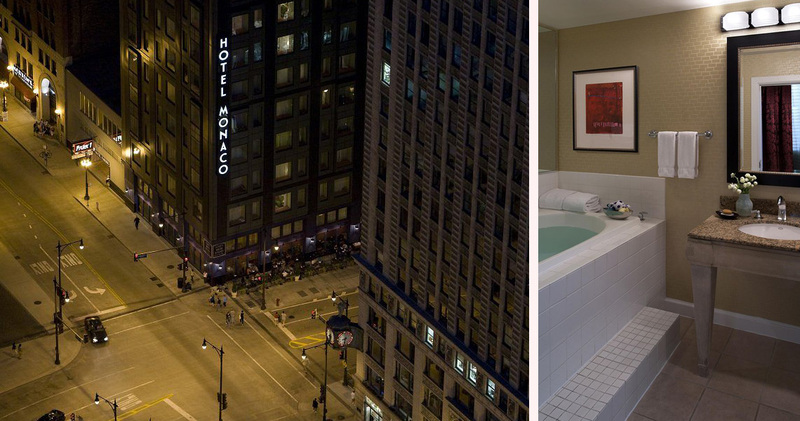 Located in downtown Chicago, Hotel Monaco is a boutique hotel with sophisticated decor, luxury services and warm hospitality. 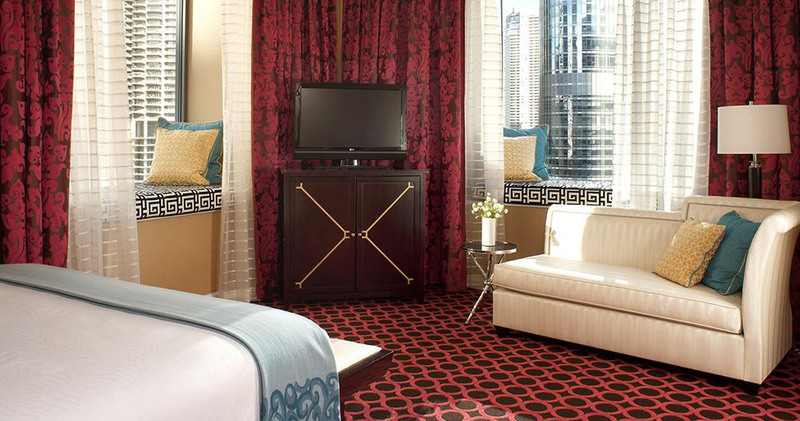 Conveniently situated in the heart of downtown Chicago, Hotel Monaco offers guests quick and easy access to Lake Michigan, Millennium Park, Chicago River and the shopping metropolis of the Magnificent Mile. 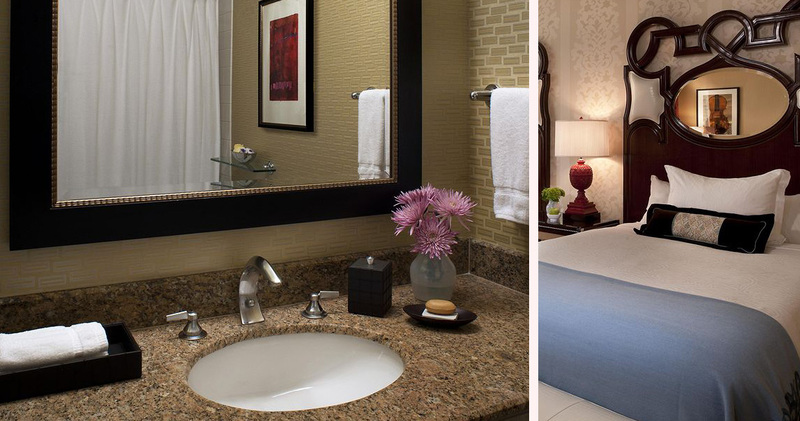 This boutique hotel is chic and stylish, featuring bold decor and vibrant colors throughout its interior. 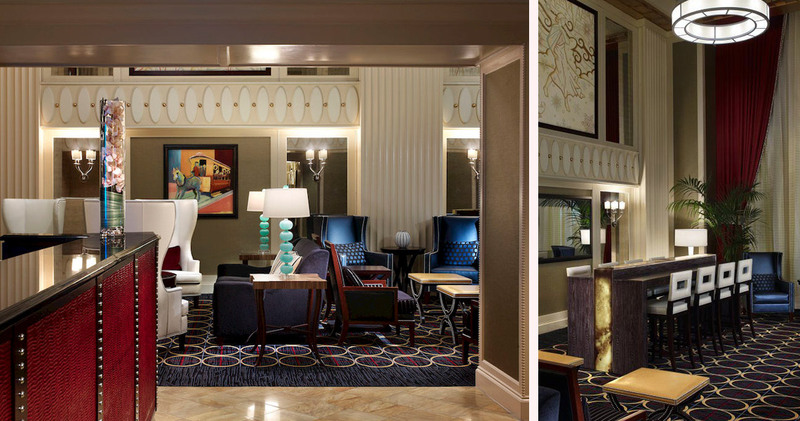 Named as one of the best hotels in the country by the US News and World Report in 2014, Monaco Hotel Chicago combines style and luxury with an impressive range of signature services, including complimentary shoe shining and wine hour. This is a pet friendly hotel where pets of any size can stay free of charge, and for those that may be missing animal companionship Chicago Hotel Monaco will even provide guests with a goldfish in their room. 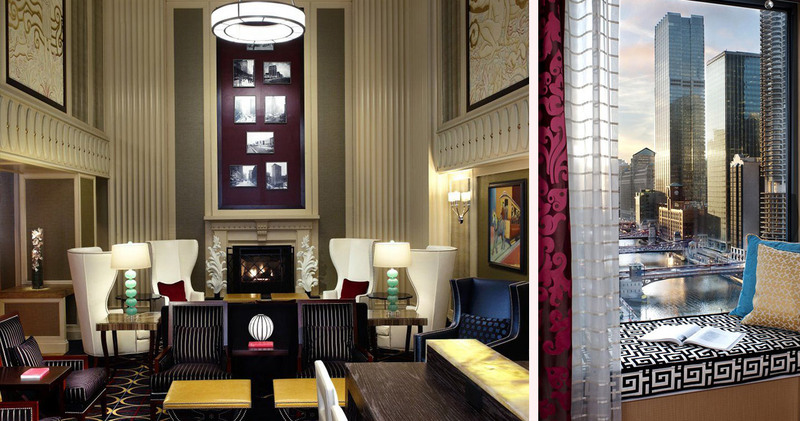 Hotel Monaco has 191 suites and guest rooms with bright and sophisticated decor. 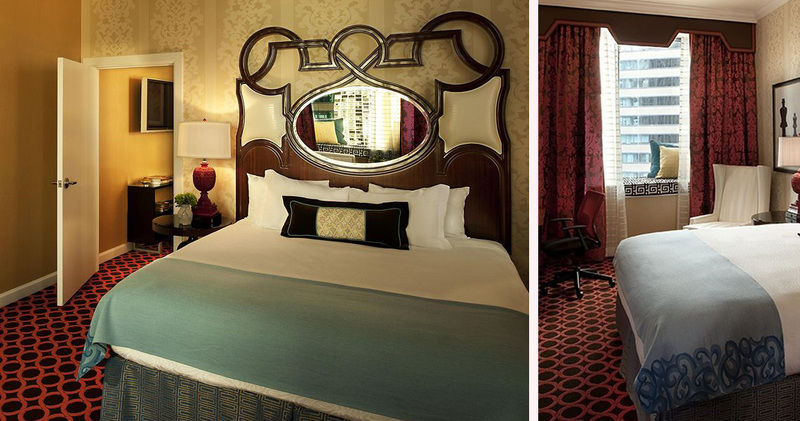 Featuring dark wooden furnishings, multi-colored drapes and crisp white sheets, the guestrooms are relaxing but fun. All include an honor bar with organic and gourmet treats, Frette linens and bath products from C.O. Bigelow. The River View Rooms provide beautiful views of the Chicago River and secluded window nooks that can be used as meditation stations. 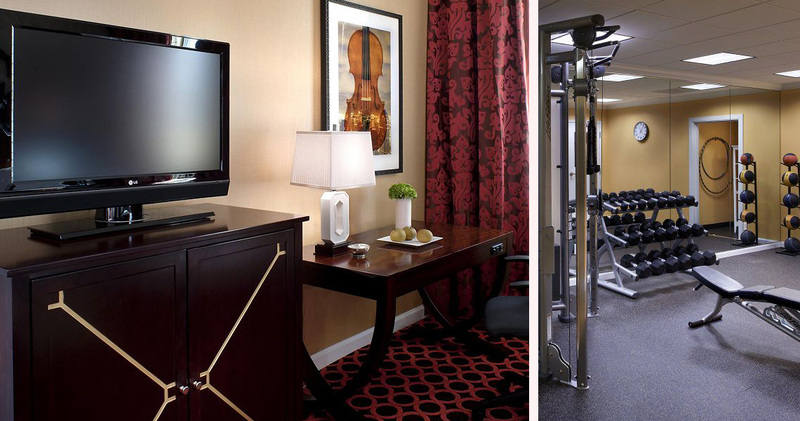 Hotel Monaco Chicago also offers yoga accessories and a designated Yoga Channel, allowing guests to practice from the comfort of their room. 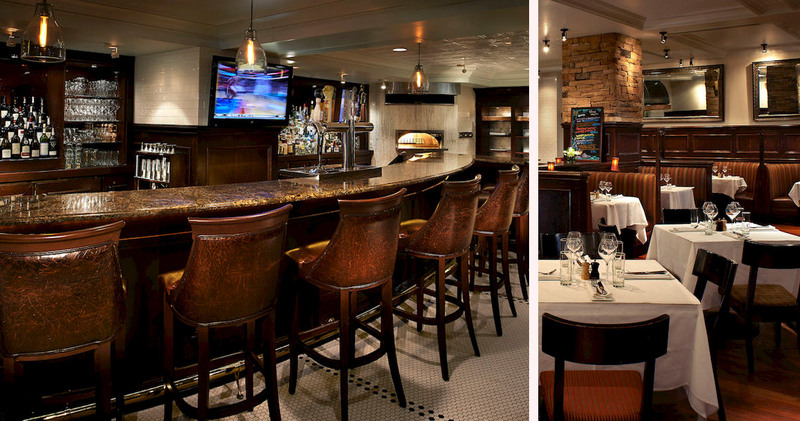 South Water Kitchen in Hotel Monaco is an inviting restaurant in the lobby. Chef Roger Waysok provides a contemporary twist to Midwestern cuisine with dishes like chili and doughnuts and goose charcuterie.